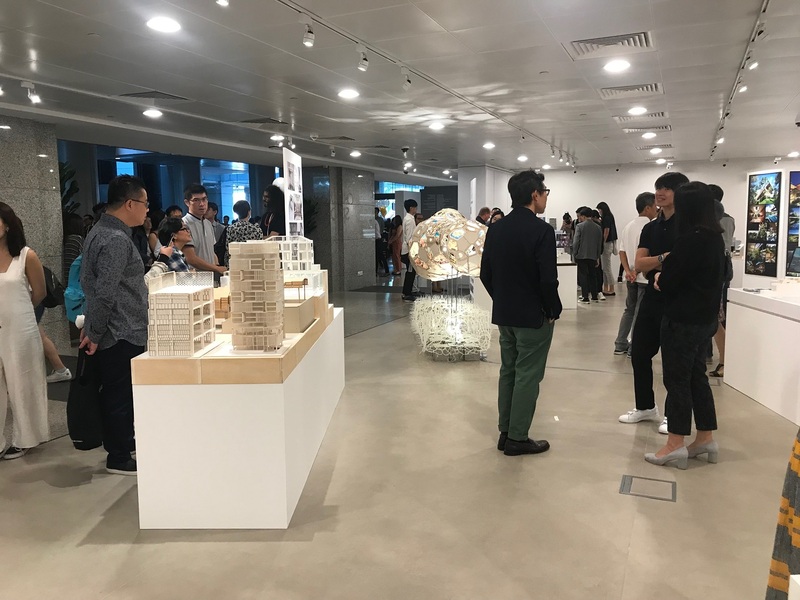 Architecture and design firms are invited to showcase their works at Urban Redevelopment Authority (URA)’s new AUDE Space launched on 20 March 2019. 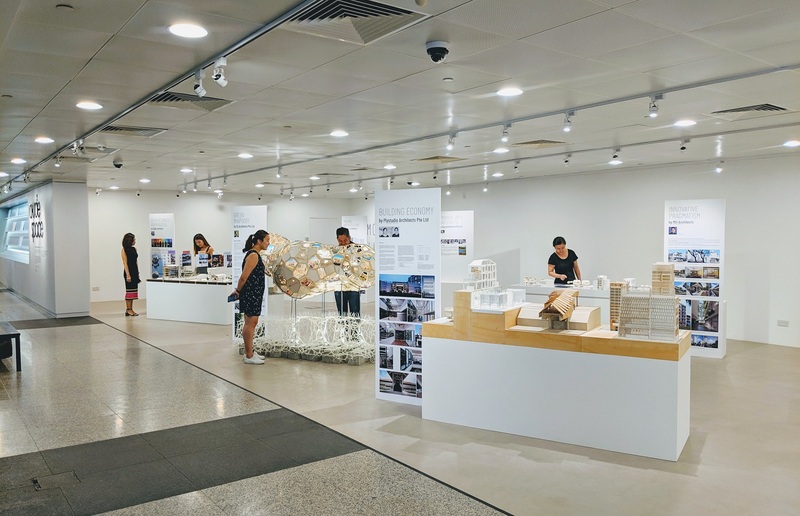 Located at The URA Centre’s first storey atrium at 45 Maxwell Road, this dedicated space seeks to encourage and inspire good architecture and design in Singapore as part of URA’s Architecture & Urban Design Excellence (AUDE) programme. It will also share new ideas and best practices in improving the quality of the built environment. Interested companies, especially small, medium, and emerging firms are encouraged to use this space to present projects that demonstrate innovative ideas, techniques and materials. To apply, go to URA.sg/aude. There is a nominal fee of $100 to exhibit per month. The inaugural exhibition, Small Firms, Big Ideas, is on display from 20 March to 30 June 2019. While small in size, eight firms are big on good designs and creating delightful spaces. From homes to skate parks and the National Day Parade stage, these firms rethink and reimagine the design of buildings and spaces, paying close attention to details – such as lighting, scale, composition and material. Browse the collection of models, images and drawings to learn about how they make a difference through their dedication to design. Sketches, drawings and models from five projects are brought together in varying scale to thread through common themes of materiality, scale and composition. The projects are reinterpreted and crafted in various ways to create architecture that is distinctive, fresh and relevant to Singapore. What defines a roof, a wall or a floor? When does the threshold between these architecture elements blur and transcend beyond their perceived function? The five projects showcase attempt to explore new ways on how these elements of architecture can be reimagined, reconstructed and redefined. Roof gardens introduce greenery to our concrete jungle, adding a different dimension to the built environment. This exhibit explores the effective use of greenery in building design and architecture, as well as how passive designs such as roof gardens integrate with the building and its surrounding environment. Curated to explore the studio’s emphasis on the intertwined relationship between the natural and built environment, this exhibit outlines three broad themes – green elements, green resources and the symbiotic relationship between people and the environment. This exhibit demonstrates how design and typological innovation can help overcome challenges of limited space, such as through the creation of attractive courtyards within buildings to bring in light, air and views. This exhibit explores how designers use sketches, drawings and models to encourage critical thinking, spark ideas, and push design exploration to the next level. This exhibit showcases physical models made to test the spatial and lighting qualities of the firm’s designs, across a variety of scales. The works showcased here include residential projects with designs to provoke, question and push limits, as well as the award-winning stage and prop design of the National Day Parade 2018. This display is curated to showcase a variety of works that personify WASAA’s philosophy of crafting meaningful buildings and architecture spaces that embody qualities of simplicity, repose and delight. The works include an outdoor learning garden and a creative art space.